When guardrail systems are employed to protect workers from falls, in compliance with OSHA and ANSI Fall Protection requirements, Kee Safety has compliant railing solutions to meet your workplace needs. 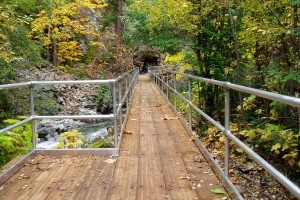 Kee Lite, Kee Lite Smooth and Kee Klamp Safety Railings offer durable, corrosion-resistant finishes that require no threading, welding or bolting to install durable pipe structures. Available in high-grade aluminum or galvanized steel. 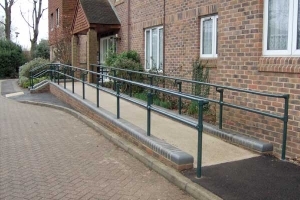 To help builders, contractors and specifiers ensure that all commercial and public buildings satisfy the requirements of the Americans with Disabilities Act (ADA), the new Kee Access ADA Safety Railing system has been launched. An innovative product for the construction of steel tubular structures. 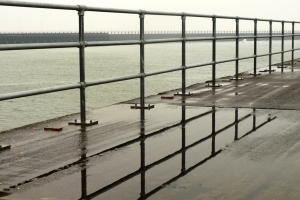 Kee Klamp fittings are pre-galvanised cast iron for strength and corrosion resistance. 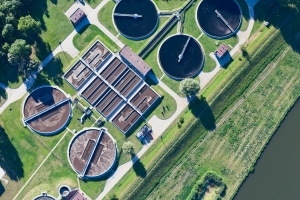 Learn more about this versatile product line. A cutting-edge product for the construction of lightweight tubular structures. Kee Lite fittings are manufactured from a high grade Aluminium Silicon Magnesium Alloy for superior corrosion resistance, strength and durability. Learn more about this product. 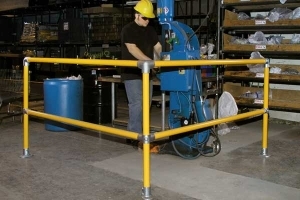 A kit that allows you to create a sturdy railing system without welding, and the added advantage of safety yellow rails. Kwik Kit safety railing kits are pre-packaged with 6-foot post spacing for straight sections, corner sections or extension sections. Learn more about this product.